Just when we were mourning the end of the mango season and the return to Timorese two-fruits, we had a fortuitous meeting with a local who told us his backyard tree was pregnant with goodness. For less than A$8 we received a basket full of fruit bliss. Tom scoffs his like the wild man of the jungle, while I prefer the dainty spoon technique. 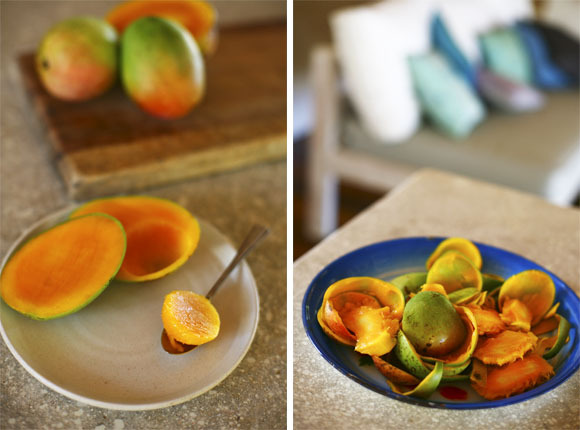 Whatever the method, we recommend you eat mangoes naked.